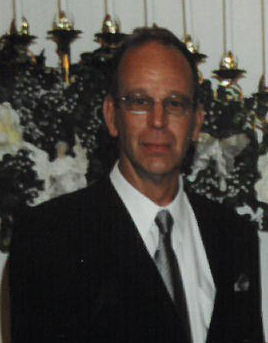 Obituary for Randolph D. Oldfather | McKee Mortuary Inc.
Randolph D. Oldfather, 63, North Manchester passed away January 30, 2019 in his home. On July 15, 1955, Randolph was born to Wilfred Oldfather and Ruth (Yentes) Oldfather- Wagner in Rochester, Indiana. He was employed with Midwest Poultry as a truck driver since 1999, retiring in 2011. Randolph served his community as a volunteer firefighter with Pleasant Township Fire Department since August of 1986. Randolph will be remembered by his mother, Ruth Oldfather-Wagner; one daughter, Sara (Mark) Hampton, Warsaw, Indiana; three brothers, Charles Oldfather, Mexico, Robert (Kathy) Oldfather, Macy, Indiana, and James (Jan) Oldfather, Victoria, Texas; and one granddaughter Leah Hampton. He was preceded in death by his father and one brother Neal A. Oldfather who passed away on May 27, 2002. A memorial visitation for Randolph will be held Sunday, April 14, 2019 from 1:00 p.m. to 3:00 p.m. at McKee Mortuary, 1401 State Road 114 West, North Manchester, IN 46962. For those who wish to honor the memorial of Randolph Oldfather, memorials may be made to, Pleasant Township Fire Department, 10459 N Ogden Rd, Laketon, IN 46943.